New York, New York, October 10, 2018 – An analysis of newly available data from the NYS Department of Motor Vehicles reveals where drivers are more likely to receive speeding tickets and what can be done to avoid these violations. The Rosenblum Law Firm evaluated the latest numbers and discovered the best way to help New York drivers reduce the chance of getting a speeding ticket. The analysis outlines the top ten New York counties with the least amount of speeding tickets, and those with the most. The Rosenblum Law Firm found that Herkimer, Nassau, and Dutchess counties were the top three areas where drivers most often get speeding tickets in New York; while drivers in Essex, Montgomery and even Manhattan are the least likely to get ticketed for speeding. These findings reflect more than just the volume of speeding tickets written; they factor in the amount of vehicle miles traveled in the county to determine where police are most aggressive in ticketing drivers. The analysis of the data also includes tips about the best times to drive to avoid speeding tickets, the season during which speeding ticket rates decrease, and also informs drivers about the maximum speed one should travel to likely avoiding getting a speeding ticket. New York drivers can check their county’s traffic ticket and accident data at https://traffictickets.com/data/. They can also search by type of traffic offense, like cell phone usage, speeding, and DUI/DWI. The firm further analyzed other aspects of the data to provide interesting findings about a range of other ticket-related topics. 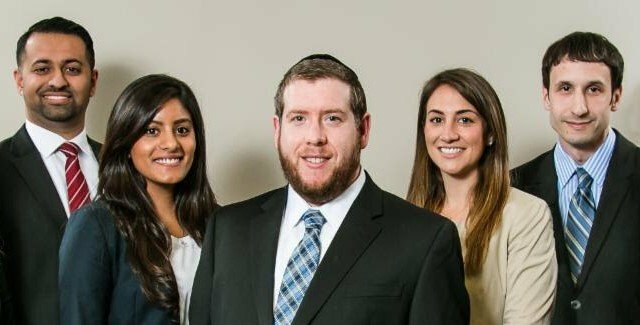 The Rosenblum Law Firm is a general law practice with locations in Albany, Buffalo, New York City, and Bloomfield, New Jersey. The firm, which was founded by Adam H. Rosenblum, Esq., is made up of a dedicated and diverse team of lawyers who focus on vehicle and traffic violations and criminal defense. Learn more at https://traffictickets.com/data/. If you would like more information please contact Elie Orgel at 646-453-7787 or email [email protected]. Custom data reports, embed codes, and media quotes are available upon request.